Shane is a passionate local entrepreneur and business owner. He was born and raised in North Delta where he was introduced to roofing as a young adult. He loved the hard work, physical labour and quickly learned the value of a dollar. Over the years, Shane acquired extensive installation experience in sloped and flat roofing installing asphalt shingles, aluminum roofing and torch-on SBS. 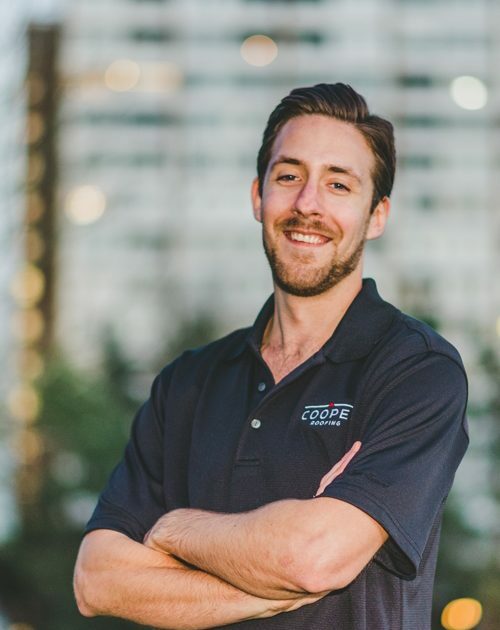 After six years of hands-on work experience, Shane began working with a larger firm as an estimator and project manager where he learned different techniques and skills for quoting various roof systems for commercial and residential projects. As a project manager, communication was key when coordinating with suppliers, employees, bin deliveries and customers. Being organized and aware of all duties on each project was critical for providing a great service that left the customers satisfied and happy. But it was always Shane’s dream to start his own company because he felt the industry didn’t provide the level of customer service and quality workmanship he felt homeowners and building owners deserved.